This was my 12th consecutive watch fair, so you’d think I’d be used to it by now. But once again, the pace of our unforgiving SIHH 2018 schedule, the endless tracking around in circles at the Palexpo opposite Geneva Airport, and the maelstrom of releases left me – on day four – somewhere between giddy in love and carsick as hell. This was the state I made these choices in, and Felix and I were still debating our choices right down to the last minute. I was far from resolved, and I don’t think he was either. So, let this be another version of my usual preface that these were just the first watches to leave a strong impression. There will be many more to unveil during the year. And I can already tell that Justin and Sandra’s presence this year opened up my scope – their WhatsApp thread is a constant source of new inspiration as they post iPhone pics of watches the other one missed. 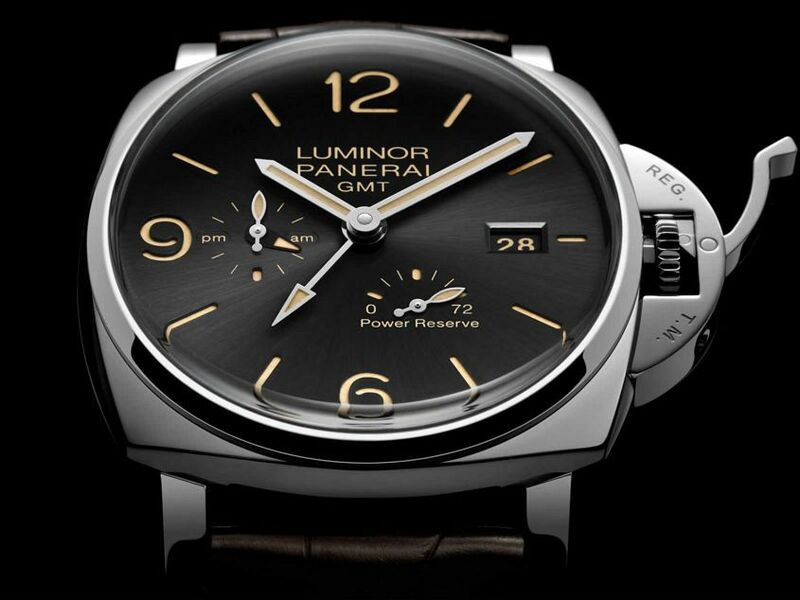 Panerai Luminor Due GMT 45mm – Grey starburst dial, beige lume on the sandwich dial and on the hands, lush brown strap, cream contrast stitching, high-polished finish on the case and crown guard … this is just a symphony of perfectly integrated design elements powered by an in-house movement. Dramatically beautiful, check the video. Damn. 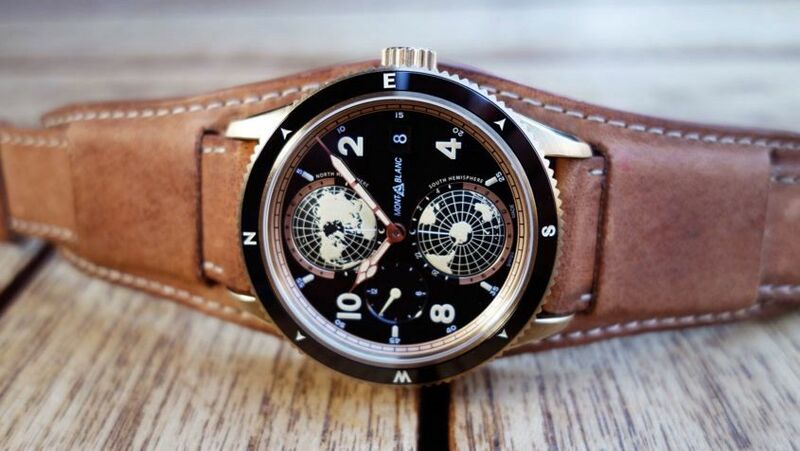 Montblanc 1858 Geosphere Bronze – Again, this was just pure chemistry when the raw leather cuff of the Bund strap wrapped around my wrist on day one. What sealed the deal was all the really warm, but still crisp details of the bronze case, gilt gold hands, spherical globes on the dial and painted numerals. Lots of complication for the money too, those globes rotate, giving you international times at a glance. 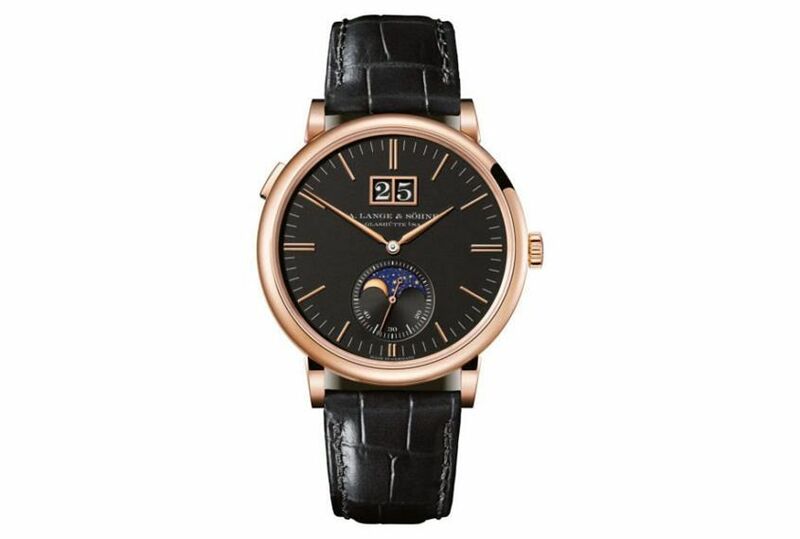 A. Lange & Söhne Saxonia Moon Phase Pink Gold – Yeah, ran out of words on this one. Pink gold, black dial, super inky navy blue sky on the moon phase and the most micro-millimetre perfect execution of every element in harmony. Beyond lovely. 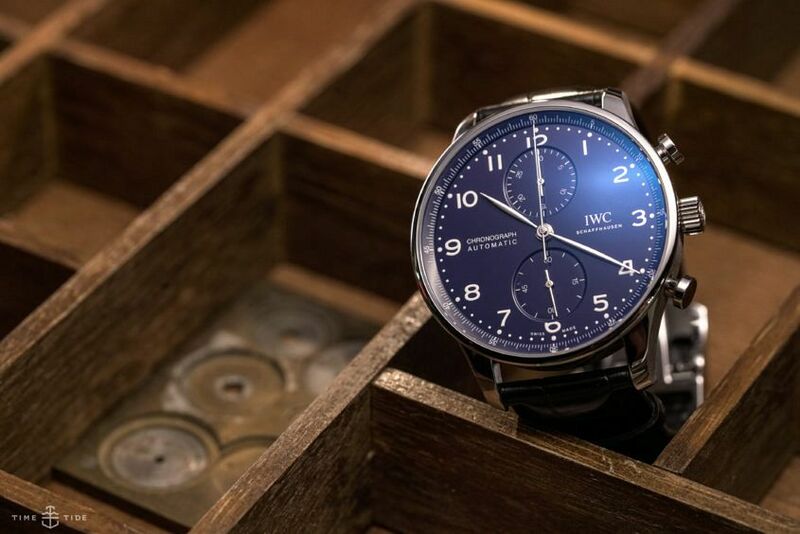 IWC Portugieser Chronograph Edition 150 Years – Superb move by IWC, to upgrade the movement in such a popular model and then NOT jack the price. And who would blame them for making the caseback clear to show it off? Bravo to our shooter Marcus for nailing these shots, too. 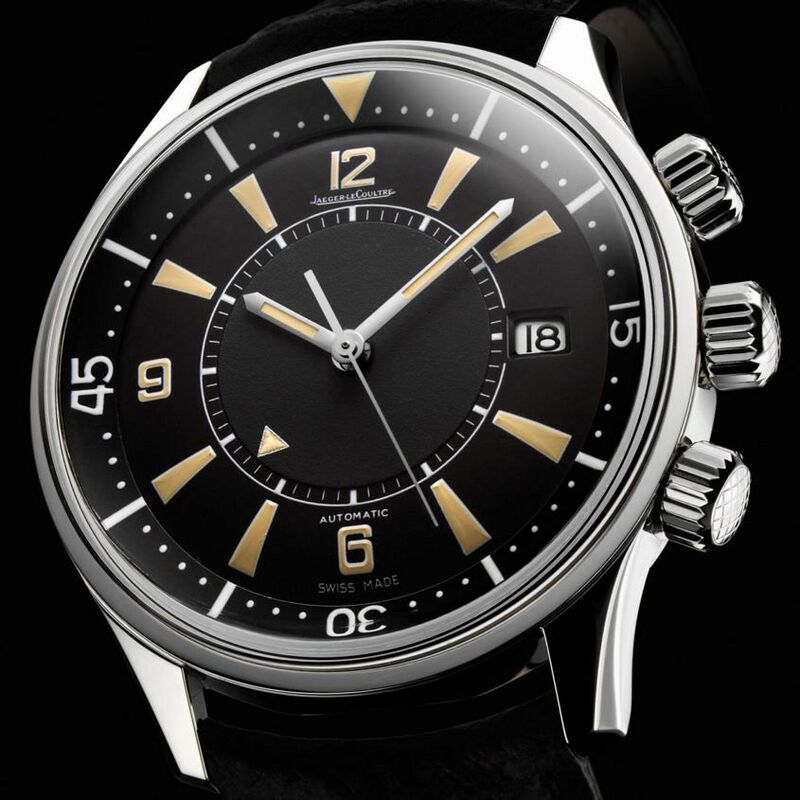 Jaeger-LeCoultre Polaris Memovox – My pick from the broad sweep of the reasonably priced Polaris models is this one, for lots of reasons, all disclosed in the video.